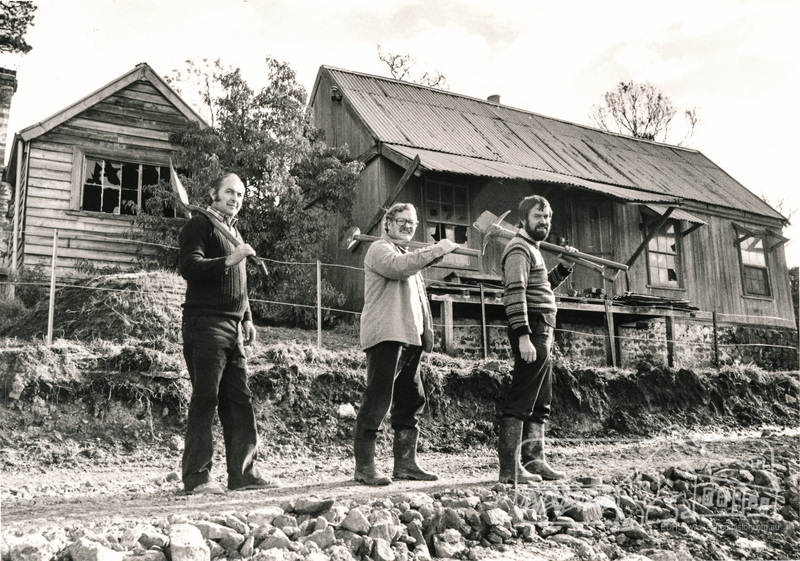 December | 2017 | Eltham District Historical Society Inc.
#ThrowbackThursday – Today we time travel back to the late 1970s and early 1980s when efforts were under way to try and save an early settler’s cottage located in Ely Street, Eltham. 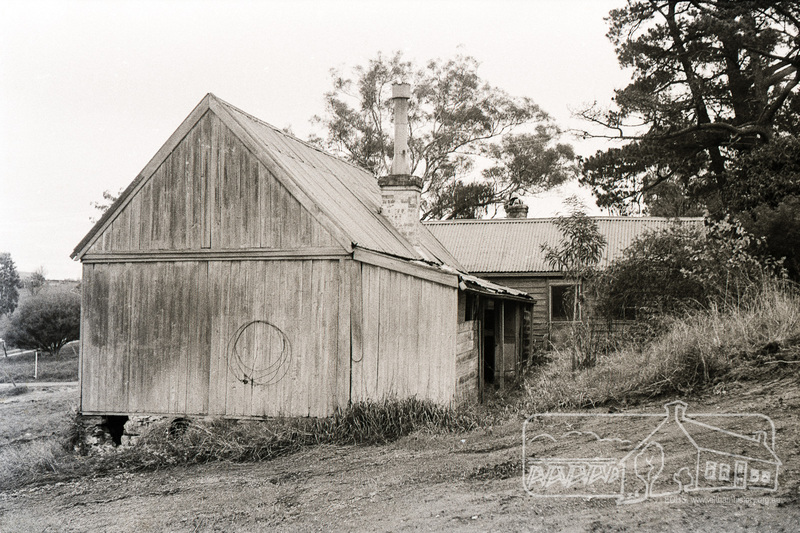 Falkiner Cottage, also known as Maynard’s Cottage, Ely Street, Eltham, May 1979 (Photo: Alan Baker; from the collection of Eltham District Historical Society). In 1978 the society was investigating means of preserving a timber cottage in Ely Street probably dating from the 1850s and believed to have been owned by the pioneer Falkiner family. The land on which the cottage stood was to be sub divided into residential lots. With the consent of the owners the society applied to the Historic Buildings Preservation Council for assessment of the building and inclusion on the Register of Historic Buildings. Around May 1979, the owner Cronus Pty. Ltd, offered the building and the land on which it stood to the Council free of charge, subject to certain minor modifications to the subdivision. The Council agreed to support the modification. Considerable research into the history of the building was carried out on behalf of the Historic Buildings Preservation Council. The origins of the building were somewhat obscure. The land on which the house stood was within the Crown Township of Eltham and was known as cultivation allotment 3 with an area of just over 1 ha. It comprised only about one quarter of the land to be subdivided. This land was sold by the Crown in 1852 to Charles Brown, a stock commission agent of Bourke Street, Melbourne, for nine pounds fifteen shillings. The house was apparently built or shifted to the site by Falkiner, probably in the 1850s. Suggestions that it was previously a school have not been supported by any available evidence. The house was owned by the Falkiner family until the 1920s when it was bought by Mr. R. Maynard, who then sold the land to Cronus Pty. Ltd. The most significant participant in the history of this house is Frederick Falkiner and it is appropriate to record some further details of his residence in this area. Falkiner came to Port Phillip in October 1836 and began business as a horse dealer. He purchased his pastoral run on the lower Diamond Creek in 1847 from Joseph Wilson who in turn purchased it from Henry Foley in 1845. Foley was the original occupier of this area in 1840. These purchases were of course before the original freehold land sales and involved only squatting rights or leasehold land together with any improvements. In 1849, Falkiner applied for three 640 acre leases in the Parish of Nillumbik. Also in that year, Mr. John Semar who held a licence to depasture stock on the run known as “Semars” or “Arthur” on the Diamond Creek requested that the licence be transferred to “Alex Falconer of Melbourne”. This person may well have been Frederick Falkiner. Falkiner’s name appears from time to time in various records of the area. In 1848 a complaint was made by Thomas Sweeney and others that Falkiner was impounding their cattle. In 1854 Falkiner was appointed Eltham’s first postmaster, a position which he held for just over a year. The existing house may well have been the first post office. Also in that year Falkiner complained about the Building Committee of the Little Eltham School, a complaint deemed “frivolous and vexatious” by the Rev. Goodman of Heidelberg. In 1858 he was fined five pounds for carelessly setting fire to his stubble yet in the same year he was auditor of the accounts of the Eltham District Road Board. The present Falkiner Street adjoins Falkiner’s original crown grant. 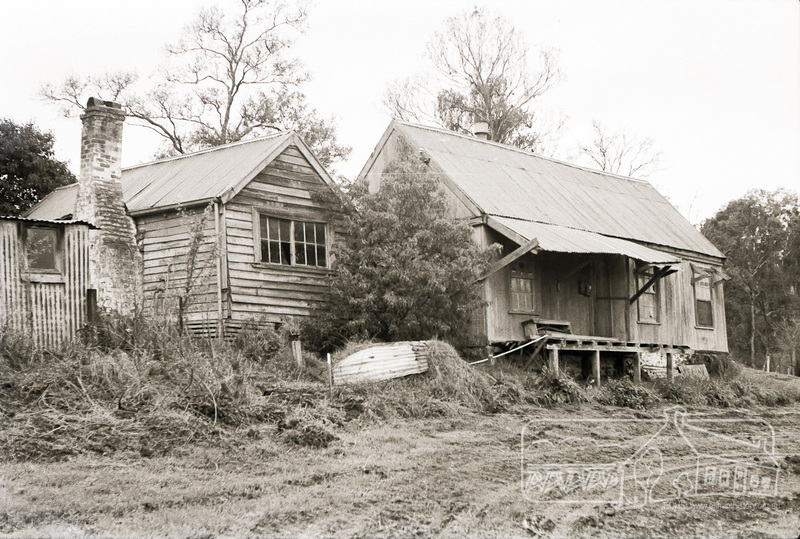 Around August 1980, the Historic Buildings Preservation Council advised that the cottage was not to be added to the Register of Historic Buildings. The Council’s classifications sub-committee considered that on a state wide basis there were better examples of vernacular buildings and there was insufficient historical data to establish that the building was of importance, even to the district. The decision did not mean that the building was not worthy of preservation but it would not have had any legislative protection. 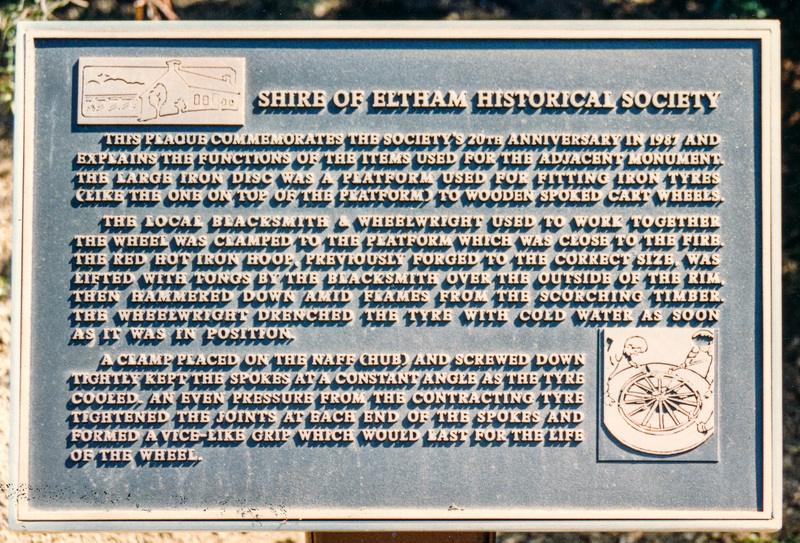 The cottage and a small area of surrounding land was transferred to the Shire of Eltham with the intention of to still achieve this aim. However by May 1982 it was in a derelict condition due to its age and action by vandals and the Council had received complaints from nearby residents requesting that some action be taken. Restoration would have required replacement of most components except the external cladding, the cost of which would have been high. Without any identified beneficial use for the building, allocation of funds by any body had to be justified purely on the historic value of the building. From an appearance point of view the house now appeared to be almost squashed into the back yards of the recently constructed houses and was very much out of character with its surroundings. In its former setting facing a large open paddock it did contribute to the character of the area. In late 1983 the cottage was demolished. Arrangements were made with Mr David Willis of Kyneton Mill for him to salvage useful material from the building for use in restoring the mill along with an appropriate acknowledgement in the mill of the source of the materials. This is our final ThrowbackThursday post for our 50th anniversary year. The Society wishes all of its members and interested supporters and very merry Christmas and a safe and happy New Year holiday season. 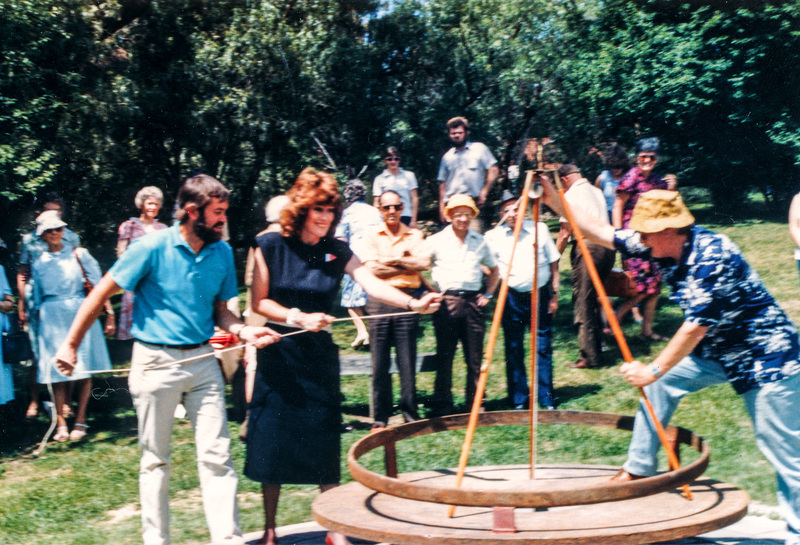 #ThrowbackThursday – Who knows what that large circular monument is in front of the Eltham Community Centre across Main Road from the Eltham Hotel? 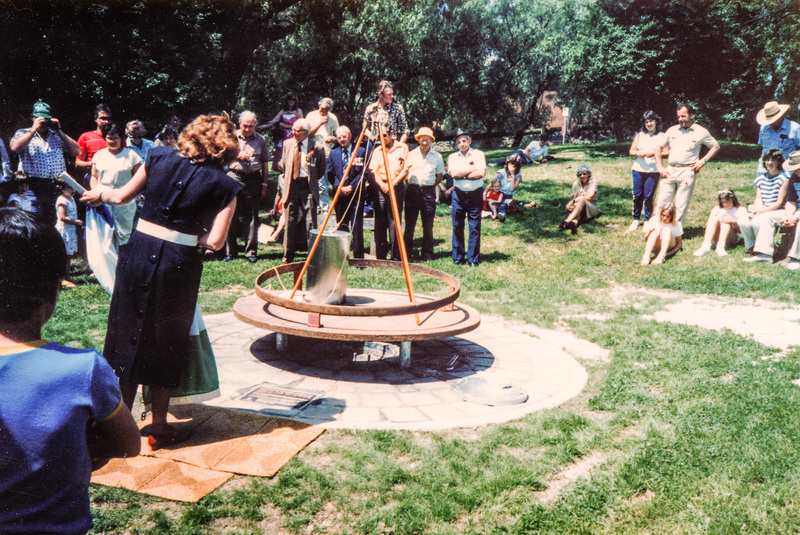 Well, today we time travel back to the future, 2035 in fact, or more precisely, 1985 when the foundations were cast by the Shire of Eltham Historical Society to celebrate the Eltham of 1985 with that of 2035. It is November 10th, 1985 and the Eltham Festival is in full swing; the Parade has finished and Eltham Town Park (or Alistair Knox Park) is full of people and displays. 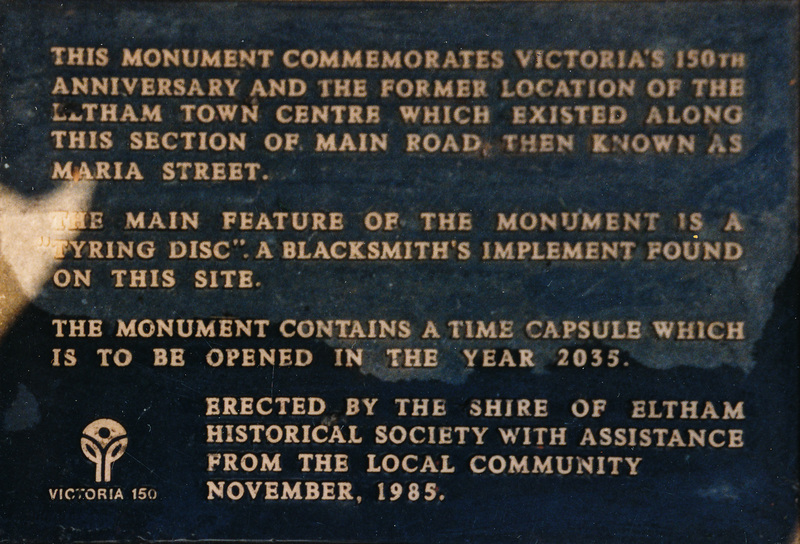 Included on the official program at 2.00 pm is a Time Capsule Ceremony where a time capsule is to be lowered into a monument established by the Shire of Eltham Historical Society to commemorate Victoria’s 150th anniversary and the former location of the Eltham Town Centre, which existed along this section of Main Road, then known as Maria Street. 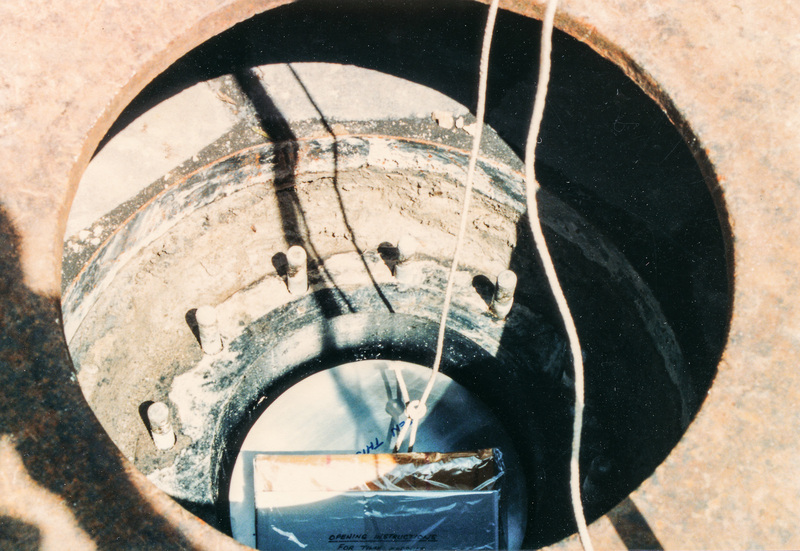 The monument was constructed with a concrete base and the main feature is an old tyring plate or disc. The Time Capsule Ceremony involved lowering the sealed time capsule into place, bolting down its container lid and then concreting over the lid. 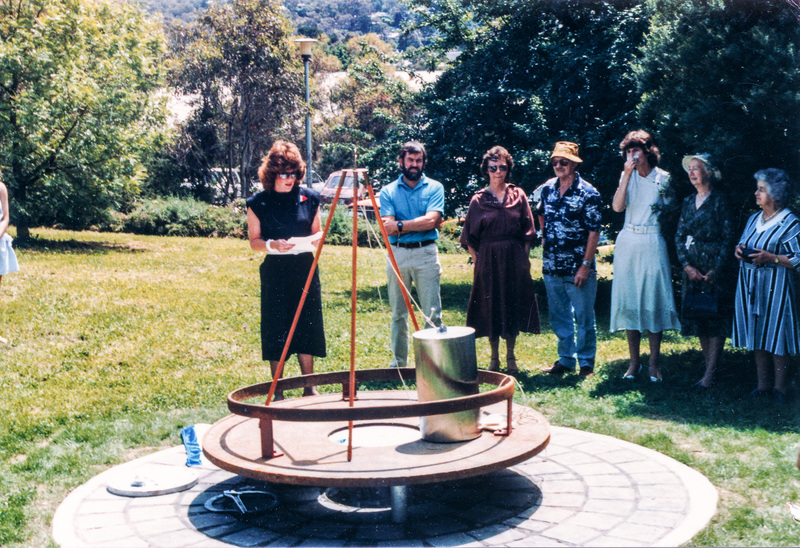 The capsule contains items relating to present day (1985) Eltham and its people including a video film made by Joh Ebeli and also details of families and organizations who have contributed to construction of the monument. It is to be opened in the year 2035. The Society received an excellent response from local people, firms and organizations by way of assistance with this project. Graham Beyer, who originated the project, arranged many of the donations. He and his firm, Package Handling Equipment, donated the time capsule itself and carried out fabrication of sections of the monument. The design of the monument was adapted by Graham Beyer from drawings by Joh Ebeli. Charmac Industries donated the container for the time capsule and a cast gun metal name plate for the monument. BMG Concrete donated concrete for the base which was constructed by Caridi Construction Company. Northbourne Garden Supplies donated materials for the paving around the monument. Robert Becker from Eltham Apex directed construction of the paving by Society members. 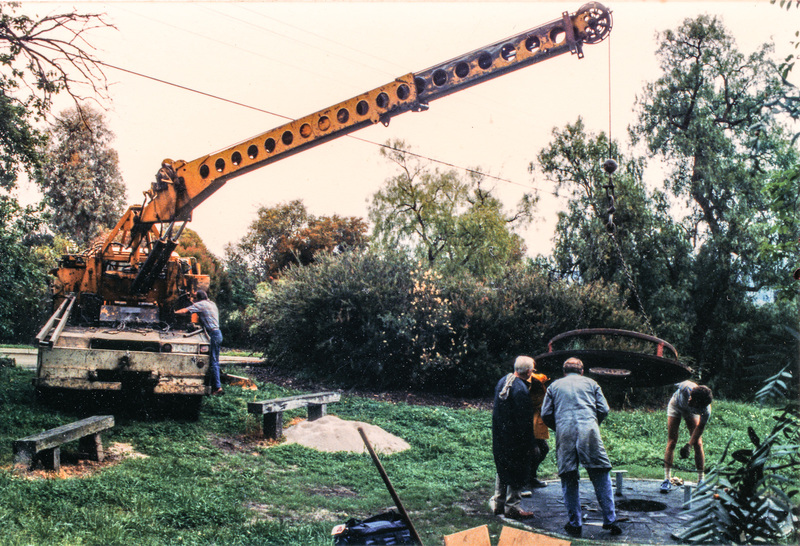 Terry Hutchinson donated the use of his crane to lift the tyring disc into place. 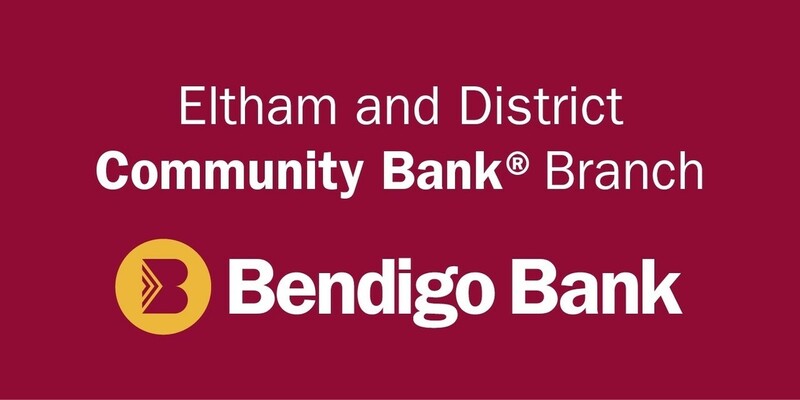 Financial contributions were also made by the Eltham Chamber of Commerce and the Rotary Club of Eltham. Leaping forward two years to 1987 and the Society is now celebrating its 20th Anniversary. 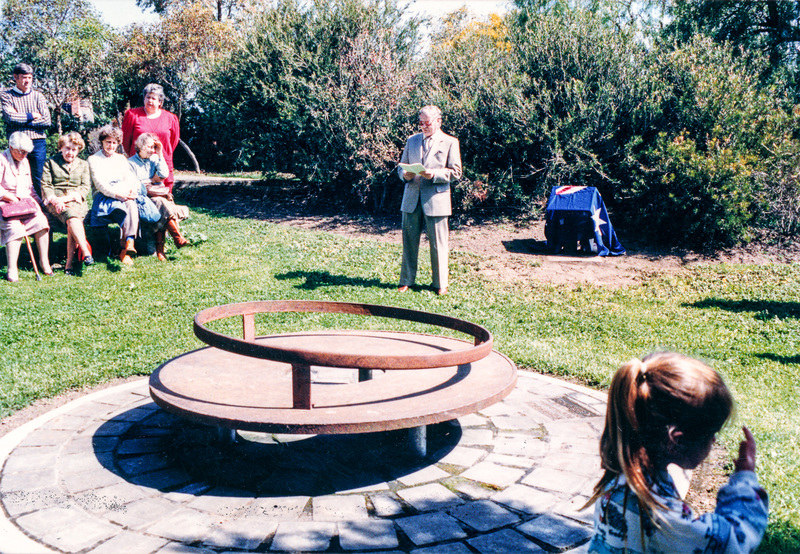 In commemoration of that event, the Society commissioned a plaque which explains the functions of the various items used in the Society’s Victorian 150th Anniversary Monument with an unveiling by its designer, Joh Ebeli, on October 10, 1987. 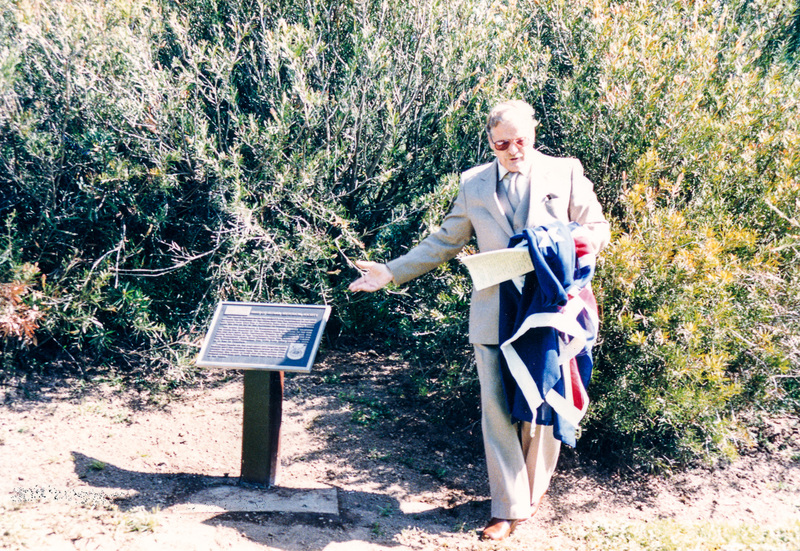 The plaque was Joh’s idea and he provided the impetus for its completion. Joh’s dedication address is repeated below. 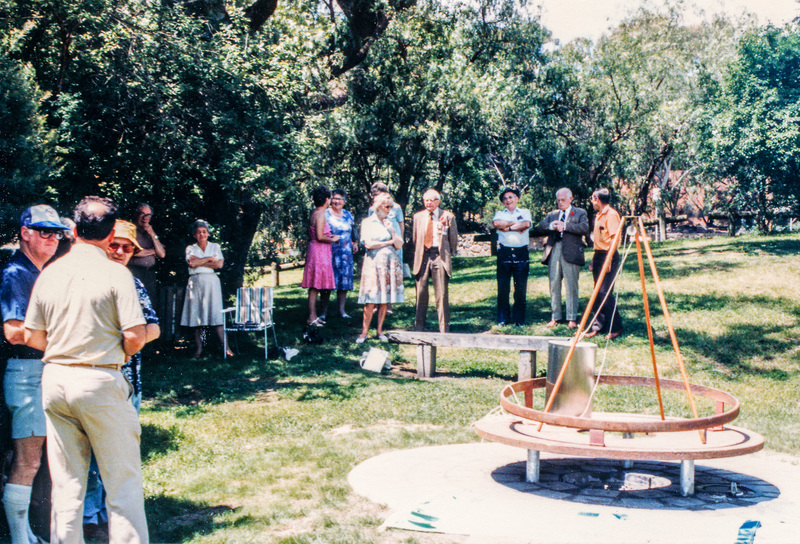 Unveiling of the Society’s 20th Anniversary Commemorative Plaque, 10 October, 1987. Standing L-R: Mrs Opal Smith, Mr (obscured), Mr Norm Williams, Mr Nankervis, Mrs Nankervis, Mrs Marjorie Smith Motschall. Seated L-R: Mr Phillips (looking down), Mrs Phillips (looking away), Mrs Beryl Read, Mrs Lilian Rumney. (From the Collection of Eltham District Historical Society. Photo: Peter Basset-Smith). 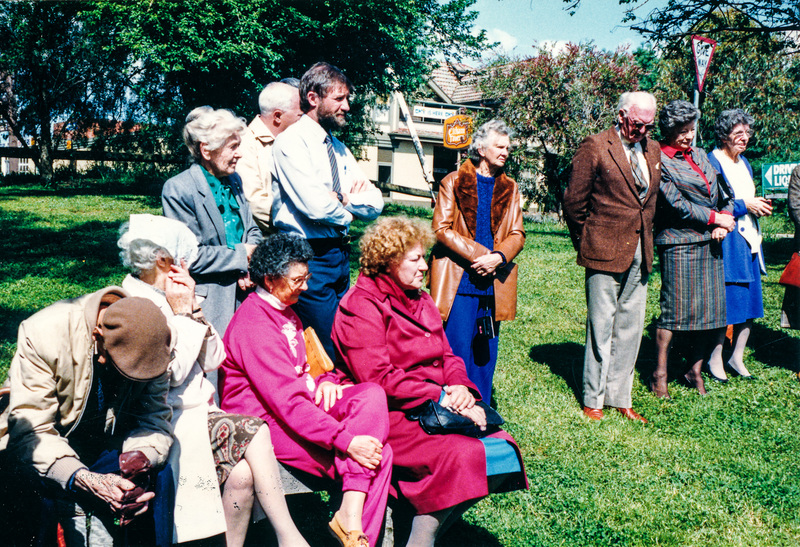 Unveiling of the Society’s 20th Anniversary Commemorative Plaque, 10 October, 1987. 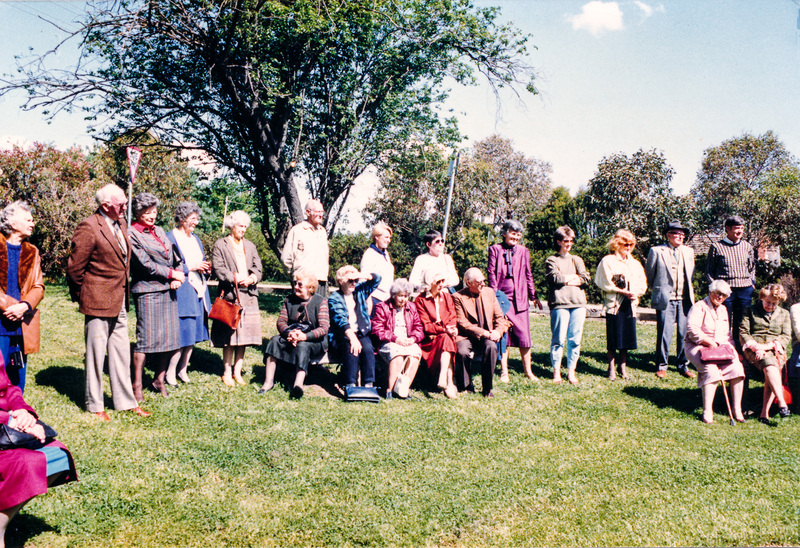 Standing L-R: Mrs Florence Spicer, Mr Nankervis, Mrs Nankervis, Mrs Marjorie Smith Motschall, Mrs Joy Ness, Mr Alan Gardner, Mrs Marion Yeoman, Mrs Marie Ebeli, Mr Garnet Burges (in hat), Mrs McLellan, – , Mr Bob McLellan. 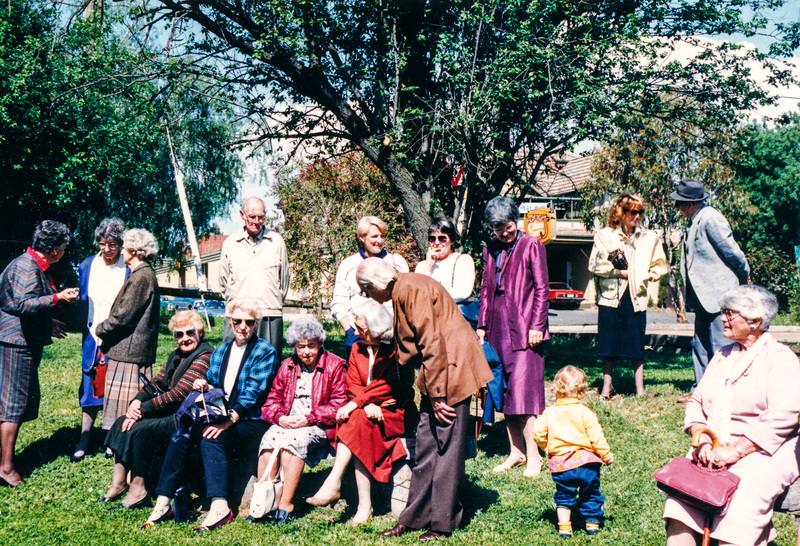 Seated L-R: – , Mrs Eileen Gibbons, Mrs Kath Stephenson, Mrs Irvine Green, Mr Irvine Green (President, Doncaster and Templestowe Historical Society), – , Mrs Bishop. (From the Collection of Eltham District Historical Society. Photo: Peter Basset-Smith). 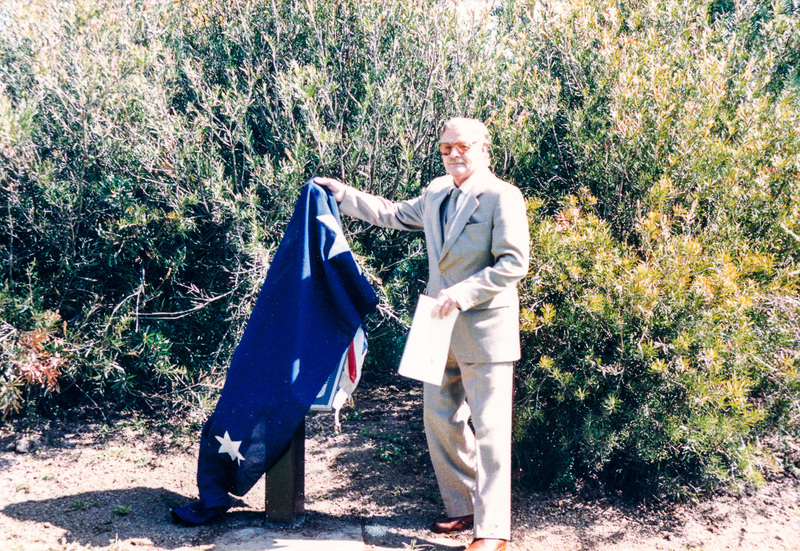 Unveiling of the Society’s 20th Anniversary Commemorative Plaque, 10 October, 1987. Standing L-R: Mrs Nankervis, Mrs Marjorie Smith Motschall, Mrs Joy Ness, Mr Alan Gardner, Mrs Marion Yeoman, Mr Irvine Green (stooping), Mrs Lucy Robertson, Mrs Marie Ebeli, child, Mrs McLellan, Mr Garnet Burges. Seated L-R: Mrs Clair Renouf, Mrs Eileen Gibbons, Mrs Kath Stephenson, Mrs Irvine Green, Mrs Jean Nowlan. (From the Collection of Eltham District Historical Society. Photo: Peter Basset-Smith). “We are here to finalise this monument by unveiling a plaque which explains the functions of the items for the adjacent monument. I have brought six different people here and have asked them “What do you think of this monument” No one could tell me – some thought it was a sort of modern decoration, so I felt there and then that we still had to do more to make this monument understood and most of all, appreciated. Therefore, we need to know a bit of the history of the wheel, the subject cart wheel has certainly a magnificent history for us all! Where should we be without the invention of the wheel! Making a spoked wheel calls for a sort of genius for its structure is a great deal more complex than might be imagined. There is a scribe in Iraq nearly 6,000 years ago which showed a wheeled cart. This was the earliest surviving evidence – the transport breakthrough that helped man to advance into civilisation. The wheels of this cart ·were not the crude unevenly rounded slices of tree trunk that might be imagined. 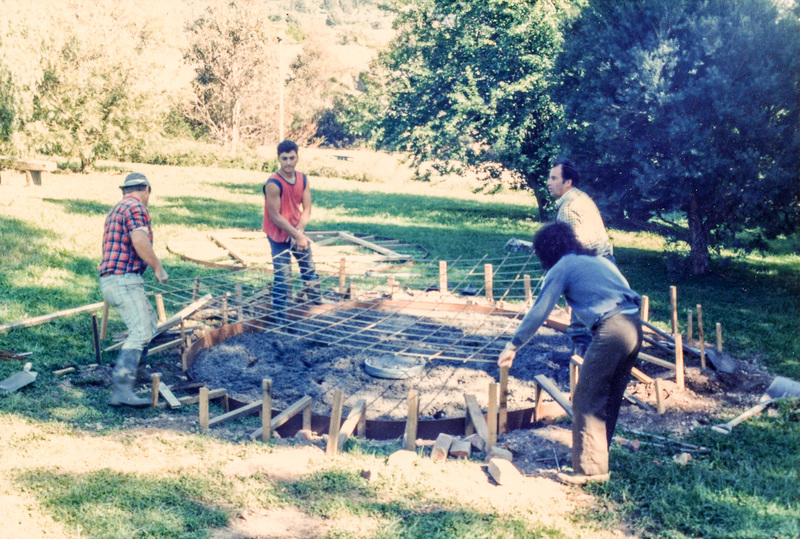 They were made from three planks joined by cross struts to form a circle. The middle piece being bored centrally to hold the axle end. A wheelwright had been at work and a new craft was born! Then came the time that allowed the wheel to turn freely instead of the former method of fixing the wheels to an axle that revolved through two hoops slung under the wagon. In Egypt around 1,750 B.C. a light battle-chariot was used for hunting lions and other animals. In Tutankhamen’s tomb a casket was found from the 15th or 14th century B.C. bears a marvellous painting of several chariots. interestingly, the wheels have only 6 spokes. Since the Middle Ages at least, it has been customary to fit 12 spokes – to heavier wheels 14 and sometimes 16. Around 1500 B.C. the rims of wheels began to be fitted with metal bands of tyres. This was a great improvement upon the earlier practice of binding them with leather which must have had a very short life on the uneven tracks and roads of the time. I myself, got a buggy and fitted on the 2 wheels are solid rubber tyres. 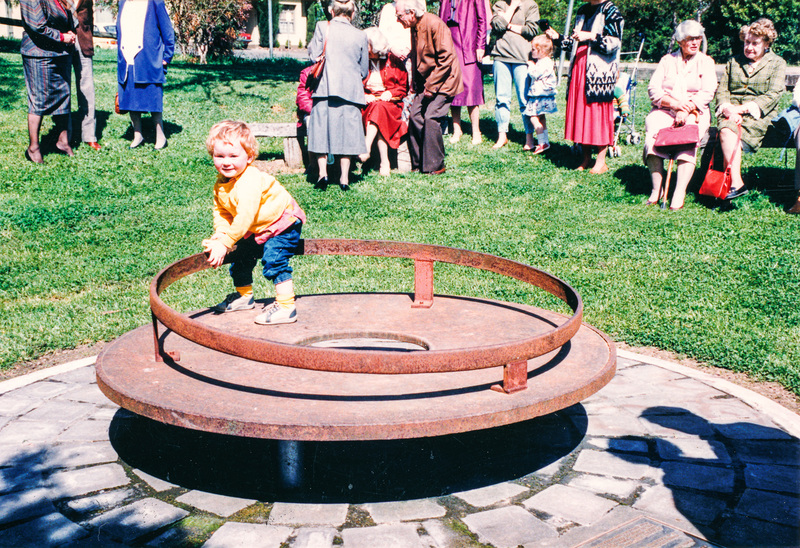 The large iron disc was a platform used for fitting iron tyres to wooden spoked cart wheels (like the one on top of the platform). The local blacksmith and wheelwright used to work side by side. The wheel was clamped to this platform, this held the naff (or hub) tightly and the spokes at a constant angle. A fire was next to it. An iron hoop or tyre previously forged to the correct size was dropped in the fire – when this tyre was red-hot the blacksmith lifted this with tongs over the outside of the wooden rim. The men hammered the hoop down amid flames from the scorching timber. 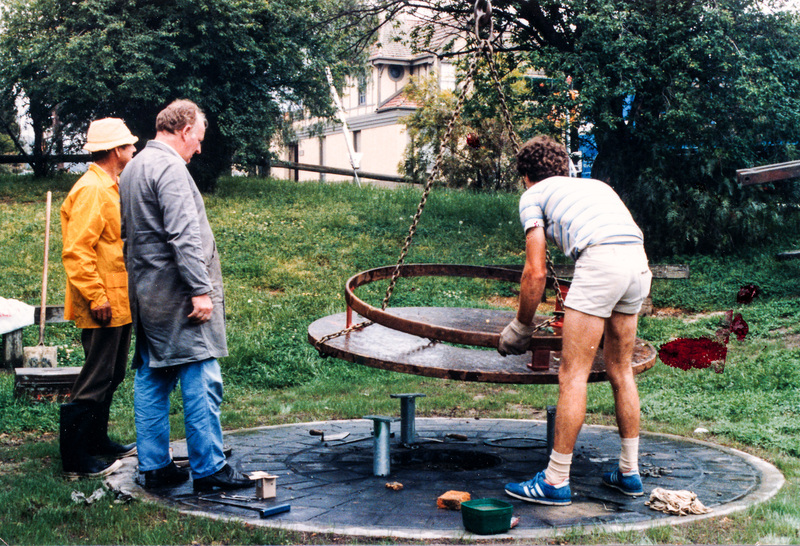 Then the wheelwright drenched the tyre with cold water as soon as it was in position. As the tyre cooled an even pressure from the contracting tyre tightened the joints at each end of the spokes and formed- a vice-like grip which would last for the life of the wheel. As you can see, it calls for a sort of genius and, talking about geniuses, we have two here in the gathering. Firstly, the Society wants to thank Bob Mclellan and his sons of Charmac here in Bridge Street for their donation of a beautiful plaque. He made it exactly as my design was including the illustration and logo. Next the second genius, Mr. Graham Beyer of Package Handling. He also made and donated this solid super special construction for us and we also are very grateful to him for doing this. All I want to say is may this monument be helpful to students of the High School for making their essays about the history of the wheel and also to keep our monument alive.